U.S. patent law is ultimately based on the federal constitution. In addition, many federal statutes and regulations govern patents. The purpose of patent law is to encourage people to create inventions by offering them a financial incentive to do so. You can sue for patent infringement in federal courts if someone attempts to profit from your patented idea without your permission. To qualify for a patent, your invention must be "novel." This means that your invention must never have been invented by anyone else before, including an inventor that never applied for a patent. If two people create the same invention independently, the U.S. will grant the patent to whoever invented it first, even if the other inventor filed for patent protection first. In most of the rest of the world, a patent would be granted to whoever filed a patent application first. Your invention must be useful to qualify for patent protection. It must perform a practical function, and it must be reducible to something physical, such as a machine. The usefulness requirement explains why the theory of relativity and the theory of evolution cannot be patented: abstract ideas are ineligible for patent protection. Nevertheless, an invention that utilizes principles of one of these theories to perform a practical task might be patentable. For example, an invention that uses principles of evolutionary theory to develop a process for destroying antibiotic-resistant bacteria might be patentable. Even if your invention is novel and useful, it cannot be patented unless it is ingenious. Ingeniousness, also called inventiveness or non-obviousness, means that the innovations that define your invention would not be obvious to a skilled technician working in the field to which your invention belongs. The purpose of requiring an invention to possess ingenuity is to patent only technology that might never have been invented at all except for the financial incentive provided by patent protection. U.S. patent law allows a process, machine, manufactured item, or composition of matter to be patented, as long as it is novel, useful and ingenious. Patent protection prevents anyone but you and those you license from making, using, selling, offering to sell or importing your invention. In most cases, your patent will be valid for 20 years from the date you file your patent application. For example, suppose you file your patent application on April 15, 2012, someone infringes it on June 5, 2013 and your patent is granted on April 9, 2014. Beginning on April 9, 2014, you will be entitled to sue the infringing party, even though your patent hadn't yet been granted at the time of the infringement. The U.S. government offers you a temporary monopoly on the right to profit from your invention. In exchange, you must donate your technology to the general public after your monopoly expires. 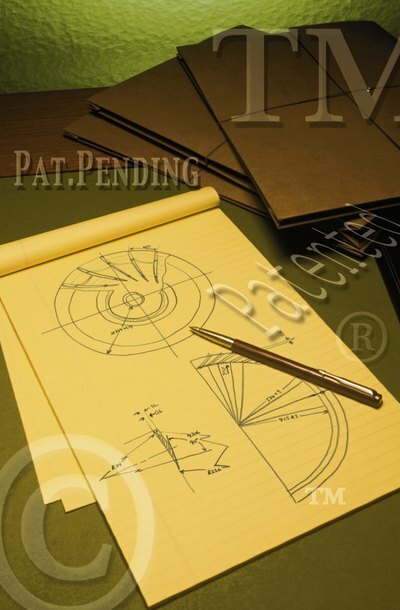 Your patent application must include detailed drawings and specifications sufficient to allow a skilled technician to manufacture it, and these details will become publicly available after you file your patent application. This means that as soon as your patent expires anyone can legally make, use, sell, offer to sell or import your technology. A patent protects the legal right of the patent holder to prevent others from using or profiting from his invention without his authorization. Although copyright law protects software, it is possible to patent software in the United States. Software patents are a type of utility patent. They are controversial because critics contend that they discourage innovation; in fact, many countries refuse to grant software patents. A utility patent expires 20 years after the patent application is first filed with the U.S. Patent and Trademark Office. President George Washington signed the first American patent granted to Samuel Hopkins in 1790 for a product used to manufacture fertilizer. The U.S. Patent and Trademark Office now recognizes more than six million patents. A legal patent protects the use of the invention by other Americans and residents of countries recognizing international patent laws.